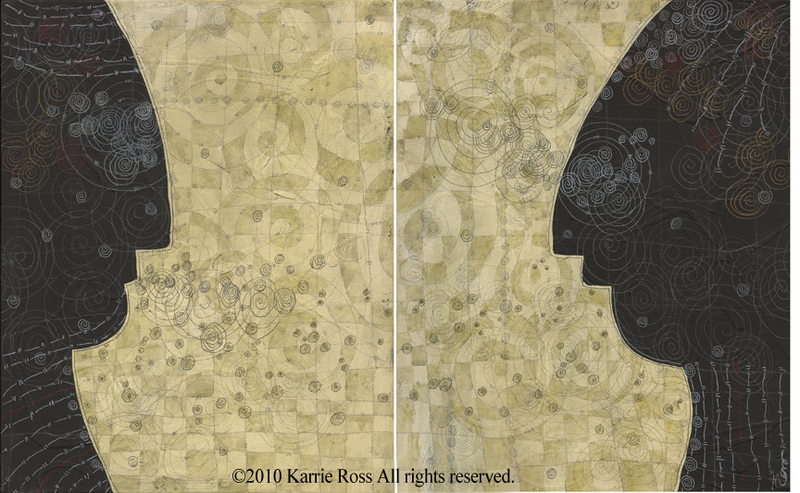 Talks about the Spiral Series by Karrie Ross, Los Angeles Artist. 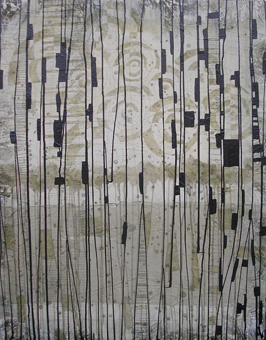 Introduces new pieces, overall concept, process, motivation and where this work can be seen. Be sure to stop by the Store page to see what is available for purchase. Los Angeles Art Association/Gallery 825 proudly presents: Aurora, LAAA’s Annual Holiday Art Sale and Celebration. 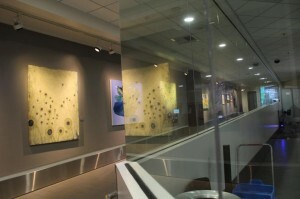 Aurora will open this year on Saturday, November 20, 2010 at Gallery 825. 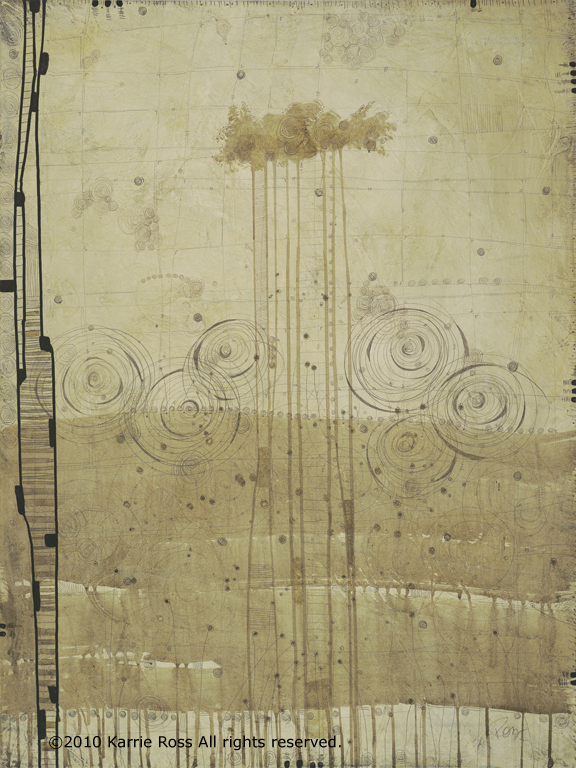 This entry was posted in Exhibition Posts, Notes: Karrie Ross, Spiral Series and tagged Aurora show, Gallery 825, LAAA.org, los angeles fine artist, Notes: Karrie Ross on November 20, 2010 by Karrie. If we don’t create …how can we affect change in the world? It is with this purpose that I create ART. Topanga Canyon Gallery announces the opening of its new show, “EnergiZed”, an exploration of personal energy generation and the fun we can have with it. 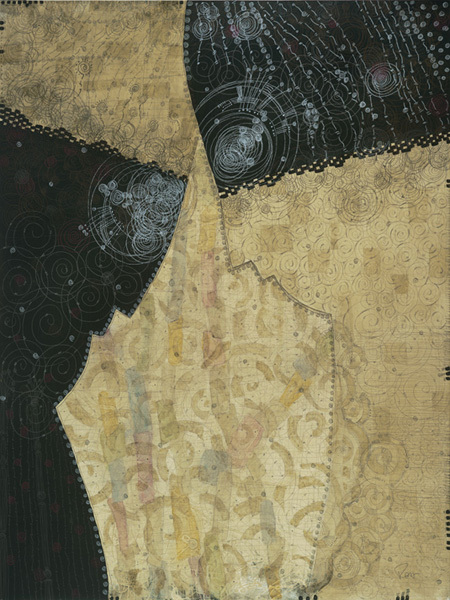 Featuring new works by Karrie Ross, Los Angeles Artist. 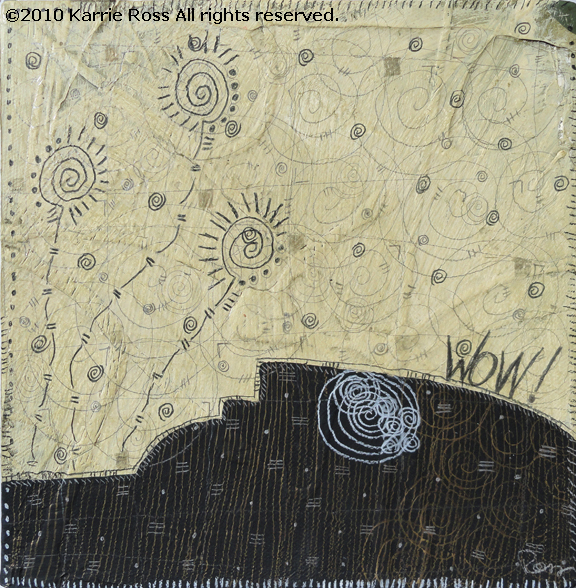 The inspiration for the show, which opens on Wednesday October 13th, came to Karrie in the middle of preparing the artwork for the show… how “EnergiZed” she was feeling and seeing this energy translate into her art presentation. Part of the show will be an installation piece of movable discs, spinning energy out into the gallery and inviting you to participate in the fun. “EnergiZed!” What’s YOUR energy telling the world? runs from Wednesday October 13th through Sunday October 24th – two weeks only. 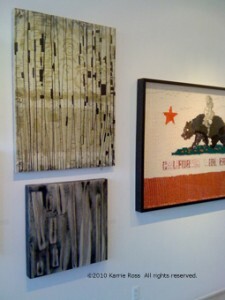 Gallery Hours are Wednesday – Saturday 10am to 6pm, and Sunday 11am to 5pm. 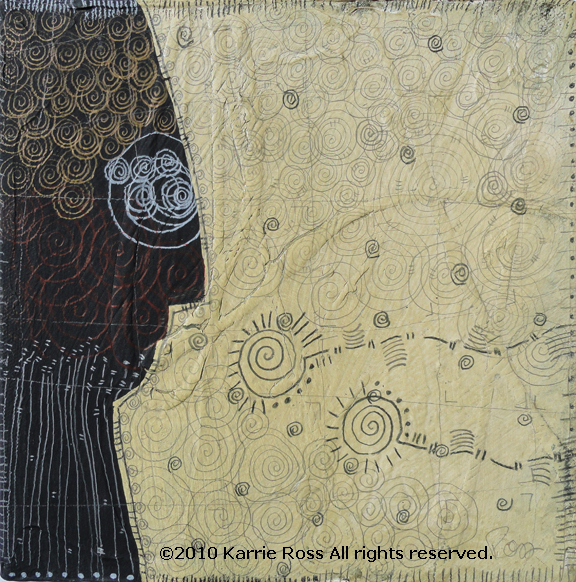 See the show and meet Karrie at the Artist Reception on Saturday October 23rd from 5 – 7:30pm. 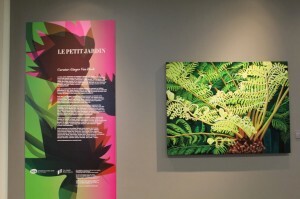 Here are some photos of the exhibition and the “Planting Seeds” 3D installation piece. This is a Panoramic view of the whole show! gotta love that setting on your camera. Mine is new, a SONY Cyber Shot, 14 mp. 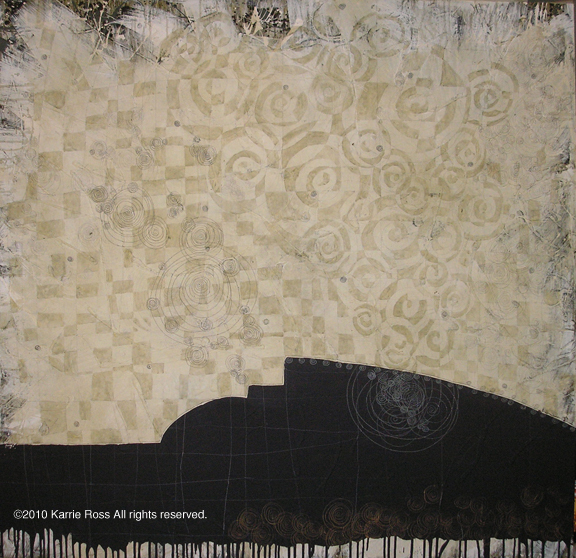 This entry was posted in Exhibition Posts, Notes: Karrie Ross, Spiral Series and tagged 3D moving installation, los angeles fine artist, Notes: Karrie Ross, solo show, sprial series on October 13, 2010 by Karrie. I just ‘happened’ upon this look… I do a test of something new and there it is… I bought a new brush and was trying it out on some scrap paper, you know, getting used to how much paint it carries and how the brush responds to touching paper or canvas, the chemistry of the elements… so, when I filled it up with paint, got a piece of paper and splatted it … the image showed up as the bloom of a flower… the swirling lines and drops of paint, another test I put my brushes through, help to increase the vibration the painting shares in eye movement and balance. Take a look, tell me what you see and feel… I’m very happy with this look and glad I bought the lone brush on sale waiting for someone… ME … to show it some love! Spiral Series: Energy Blooms: Expanding: 18 x 24; mixed media box canvas drawn edges; Karrie Ross, ©2010 all rights reserved. Spiral Series: Energy Blooms: We Dance: 24 x 24; mixed media box canvas drawn edges; Karrie Ross, ©2010 all rights reserved. Thanks for the read and if you want to get more of this type of info, sign up to the FEED and join my mailing list in the upper part of the left column. 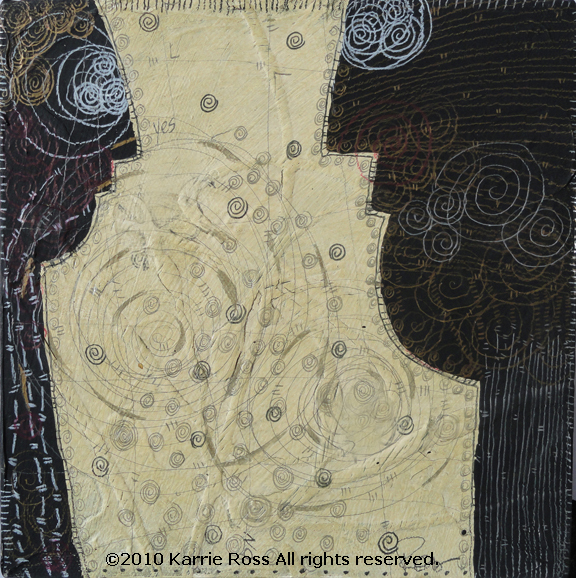 This entry was posted in Fine Art Process, Notes: Karrie Ross, Spiral Series and tagged abstract paintings, Energy Blooms, los angeles fine artist, Notes: Karrie Ross, Spiral Series on September 20, 2010 by Karrie. An artist must be seen to make a difference. 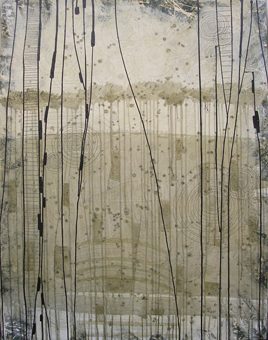 And I was ‘seen’ by Karen Moss, OCMA, who juried the TAG California Open, August- September. 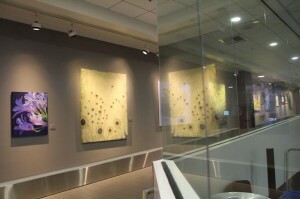 My piece, Spiral Series: Disperse, was among 50 pieces chosen to be displayed in the TAG space at Bergamot Station, Santa Monica. 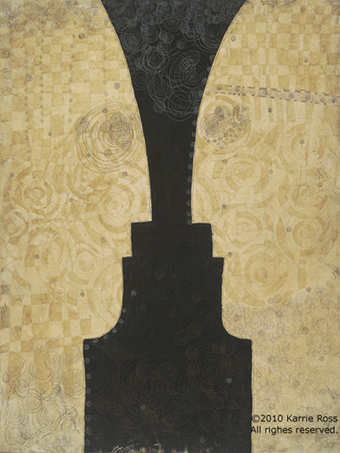 Spiral Series: Disperse is 24 x 18; mixed media (oil, acrylic, and pencil) on box canvas with drawn edges. 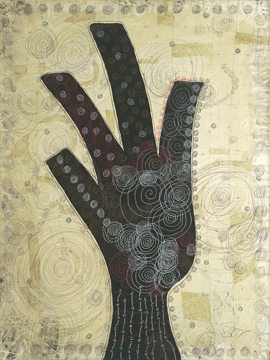 The symbol is my abstract representative of a hand, an energy transmitter, and comes to life within the transitions of the spiral drawings as they overlap and create tangent connections. Allowing the artwork to keep giving energy to those who view it… and take them on a visual journey… ” the imagination is our preview of life’s coming attractions”. 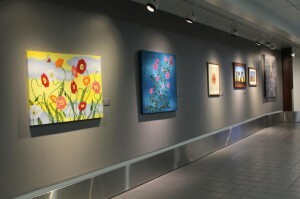 Being in juried group shows are an important part of the ‘being seen’ process of a fine artist. 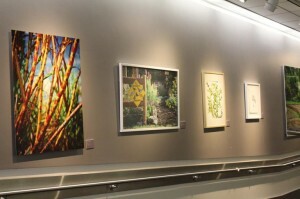 Not only for building the exhibition listing, but getting the art in front of a variety of curators, jurors and galleries. Please take the time to join my mailing list for show and sale updates. The opt-in form is in the upper left column. 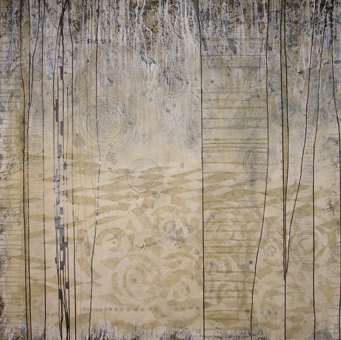 This entry was posted in Exhibition Posts, Notes: Karrie Ross, Spiral Series and tagged fine art, los angeles fine artist, Notes: Karrie Ross, sprial series, TAG 2010 California Juried Open on September 14, 2010 by Karrie. My new series will be hanging in the Rose Cafe dining room from April 27 thru May 31, 2010. Stop by and meet me on Fridays May 7, 14, 21, and 28 from 3 to 4:30 pm. There will be 8 pieces from the series. Photos will be posted to the Portfolio / Exhibitions page as soon as the show is hung. That’s if for now and don’t forget to sign up to receive my Art Notes by email in the upper left corner side column. This entry was posted in Exhibition Posts, Notes: Karrie Ross, Spiral Series and tagged art show, art show at the rose cafe, los angeles artist, Notes: Karrie Ross on April 29, 2010 by Karrie. See me and one of my newest pieces, Spiral Series: Beyond the Veil: The Elements at “GEM” Gallery 825 along with 200 other artists from the gallery. Click here to view the work that will be there! What: gem fundraiser – A Multimedia Art Exhibition and Reception, benefiting the Los Angeles Art Association. Click here to view the online preview! VIP preview – 6 to 7pm – $100 ($120 at door). Includes champagne, food by La Grande Orange and free valet parking. The first 100 VIP ticket purchases will receive a signed and numbered print by celebrated artist Siri Kaur. 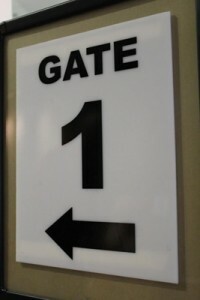 General Admission – 7 to 10pm $25. Includes wine, Blue Angel Vodka bars and free valet parking. Space is limited – call 310.652.8272 to RSVP today or click here to order tickets online. Lillian Abel, Irene Abraham, Mark Acetelli, Ruben Acosta, Lisa Adams, Robin Adsit, Nick Agid, Max Aichinger, Brandy Eve Allen, Sophia Allison, John Andolsek, Dean Andrews, Susan Arena, Terry Arena, Dori Atlantis, Deborah Baca, Christopher Barbour, Megann Zwierlein Bemiller, Quinton Bemiller, Stan Benson, Susan Bolles, Holly Boruck, Richard Bruland, Suzanne Budd, Catherine Burce, Ellen Cantor, Harry Chandler, Ching Ching Cheng, YaYa Chou, Richard S. Chow, Curran Clark, Alex Couwenberg, Jason David, Justin Davis, Emily De Araújo, Raul De La Torre, Norman Deesing, Margi Denton, Jennifer Dozier, Birgit Faustmann, Peggy Ferris, Domenico Foschi, Steven Fujimoto, Alisa Gabrielle, Martin Gantman, John Gauld, Gina Genis, Libby Gerber, Michael Giancristiano, Alexandra Grant, Tm Gratkowski, Matthew Miles Grayson, Shizuko Greenblatt, Jennifer Gunlock, Lia Halloran, Rebecca Hamm, Diane Holland, Tommy Hollenstein, Brad Howe, Eva Hyam, Larissa James, Jow, Krista Kahl, Flora Kao, Yoichi Kawamura, Jillian Kogan, Barbara Kolo, Shelley Kommers, Jonas Kulikauskas, Elana Kundell, Linda Kunik, Laura Larson, R. Dean Larson, Catherine Roberts Leach, Jackie Brethen Leishman, Diana Levitt, Jason Lockyer, Peter Lograsso, Rebecca Lowry, Kandy Lozano, Midge Lynn, Meg Madison, Cynthia Madrigal, Krista Marlene, Christopher Martin, R. Matt, Joanne Chase Mattillo, Ryan McCann, Katrina McElroy, Adele Mills, Dan Monteavaro, Larry Mullins, Gustavo Munoz, Marissa Murrow, Johnny Naked, Hung Viet Nguyen, Miriam Noske, Jayme Odgers, R. Nelson Parrish, Christopher Pate, Julia Pinkham, Bob Poe, Olga Ponomarenko, Peggy Pownall, Bret Price, Stephanie Pryor, Eileen Rapke, Glynnis Reed, Karrie Ross, Joy Rotblatt, Anne Marie Rousseau, Mara Safransky, Gwen Samuels, Debra Scacco, Heather Scholl, Steve Seleska, Cory Sewelson, Sharron Shayne, Karen Silkie, Susan Sironi, Irene Spiegel, Dennis Stevens, Amanda Symes, Lacey Terrell, Sophia Tise, Elizabeth Tobias, Luke Van Hook, David Eli Vaughn, Michael Verbenec, Larry Villarin, William Wareham, Art Weeks, Michelle Weinstein, Christine Weir, Bob White, Valerie Wilcox, Joyce Wisdom, Karen Frimkess Wolff, Elyse Wyman, Marlene Yamada, Meeson Pae Yang, Mara Zaslove and Indra Zigars. Christine Anderson, Claressinka Anderson, Rob Brander, Andi Campognone-Couwenberg , York Chang, J. Dallas Dishman, Grace and Raj Dhawan, Elizabeth East, Tanna Frederick, Adam Gross, Samuel Hoi, Henry Jaglom, Lisa Jeanetta, Jonathan Kaye, Bettina Korek, Mayor Abbe Land, Lonnie Lardner, Janet Levy, Hillary Metz, Bob Poe, Melissa Pugash, Catherine Seward, Thaddeus Hunter Smith, Louis Stern, Jocelyn Tetel, Brent Turner, Adam Wolk and Jae Yang. About: Los Angeles Art Association (LAAA) is a 501(c)(3) nonprofit organization whose mission is to provide opportunities, resources, services and exhibition venues for emerging Los Angeles artists of all media. 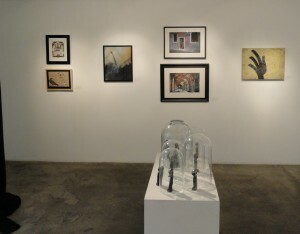 LAAA began as a civic art institution in the 1920s, connecting elite art interests to Hollywood collectors, emerging after World War II as the center of Los Angeles modernism and finally becoming the city’s nexus for emerging artists of all media. 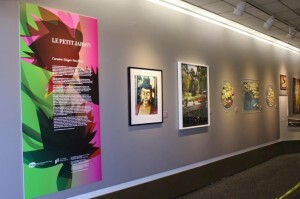 LAAA serves as a dynamic force for contemporary ideas, outreach, and community. 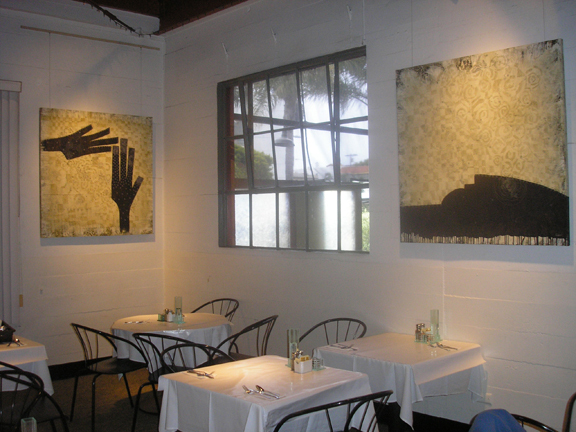 Gallery 825 and Los Angeles Art Association are located in the heart of La Cienega Boulevard ’s Restaurant Row at 825 North La Cienega Bl., Los Angeles , CA 90069 . 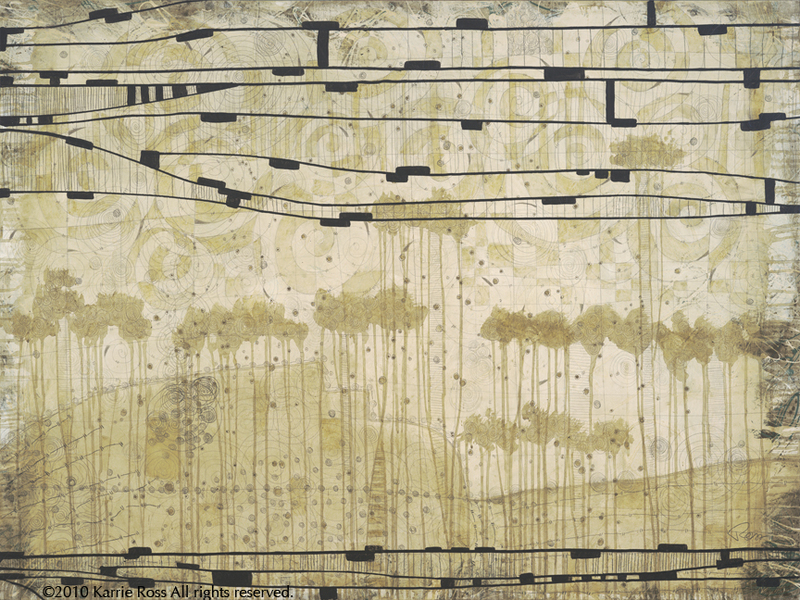 Gallery hours are 10am – 5pm, Tuesday – Saturday or by appointment. Please call 310.652.8272 or visit www.laaa.org. 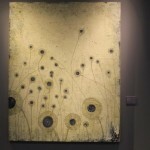 This entry was posted in Exhibition Posts, Notes: Karrie Ross, Spiral Series and tagged Art For Sale!, emerging artists, Gallery 825, Gem, LAAA.org, Notes: Karrie Ross on April 20, 2010 by Karrie. Audio as read by Karrie Ross. The Spiral Series evolved a few years ago with the Spiral Flowers, 26×40 acrylic on paper with color blocks and spirals that took on the form of flowers and grew from there. I started with watercolor and drawing as I’ve done that before successfully with the “Power” and “I am the Dance” series. 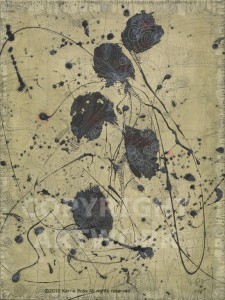 They were a combination of paint and pen&ink. I then took it to a few mini pieces with good results. But I wasn’t finding the “how”, the process of extending this series. Without the process the vision was just images. I remembered a color palate that I really liked and worked for several other paintings which was well received… the cream and green and since I really wanted to move into canvas instead of paper, I thought this would work out well. I also wanted it to have texture, but not too much and the illusion of layers and a feeling of beyond. 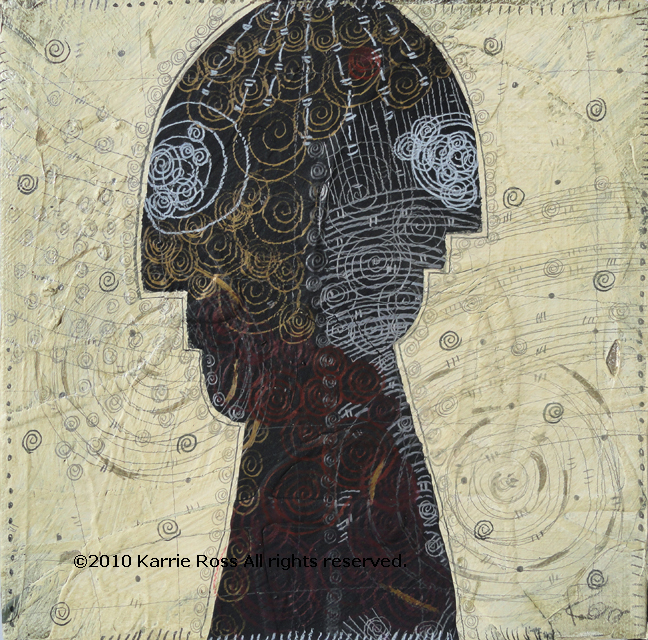 Spiral Series: heads; "Maybe"; 8x8; Karrie Ross Los Angeles Artist. ©2010 all rights reserved. Spiral Series: heads; "Who Am I Now? 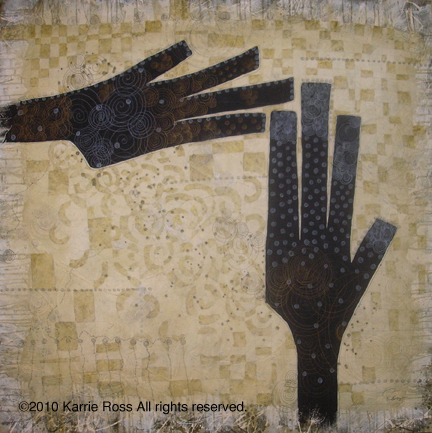 "; 8x8; Karrie Ross Los Angeles Artist. ©2010 all rights reserved. Spiral Series: heads; "WOW! "; 8x8; Karrie Ross Los Angeles Artist. ©2010 all rights reserved. 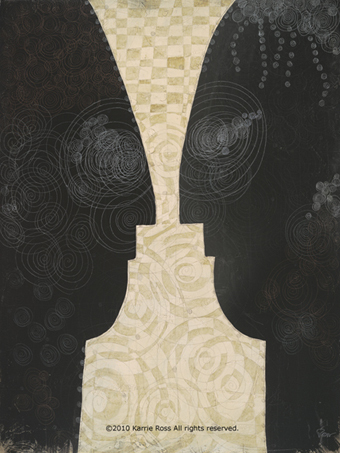 Spiral Series: heads; "Yes. No! 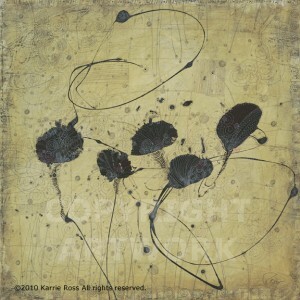 "; 8x8; Karrie Ross Los Angeles Artist. ©2010 all rights reserved. 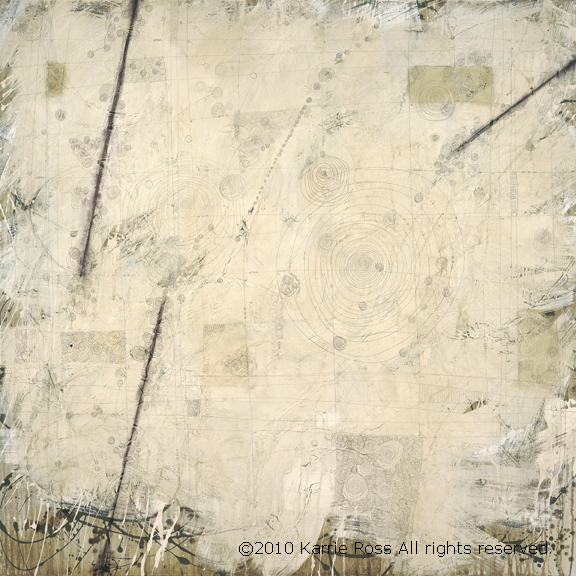 Spiral Series: Beyond The Veil: Tumbling Tumbleweeds: 30 x 40; mixed media box canvas drawn edges; Karrie Ross, ©2010 all rights reserved. Be A Point! by Karrie Ross; Do you have a point? Over 250 custom "point" to choose from... contact me to purchase. My first attempt #1, amazed me… I’d finally got to a point of balance that was in a finer space than the last work I’d been doing… not that it was better or worse… just different. And the feeling I had from it, the fascination/vibration/energy was stronger, more addictive that I found I couldn’t prep the canvas’ fast enough to try out another process. 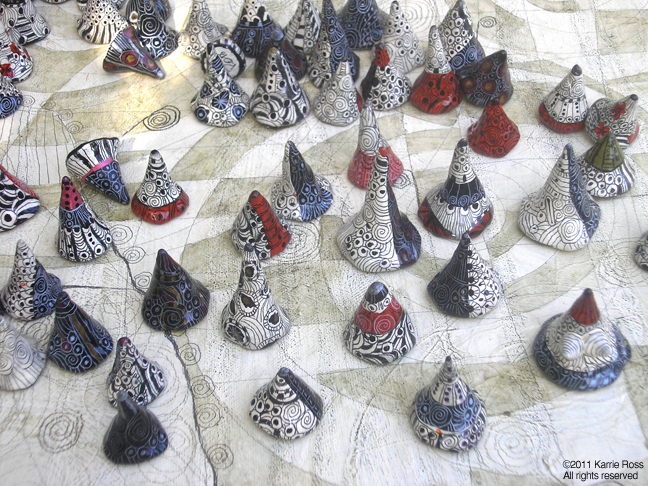 With each piece I seemed to “need” to explore another, what I call ‘sub-set’ of the series. I went from ‘lines’, spiral flowers’, ‘shapes’, ‘faces’, ‘heads’, ‘people’, ‘hands’ to veils and my mind sees new sub-sets everywhere and I’m anxious to move on to them. 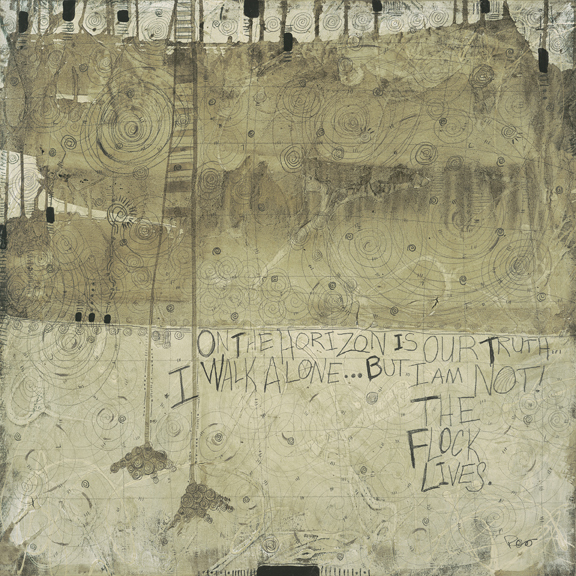 The paintings talked to me asking questions of balance and form. The questions seemed different than with previous works, these were filled with a stronger connection, a fascination for the moment, the balance to come, the risk to take… the something I needed for very life… I’d sit and look at them for hours to just make one spiral, then sit some more for another line, spiral, or approach. I found my need to connect with this growing fascination/vibration/energy consuming my life. Since my living room is my painting studio I have to pass through it to get to the kitchen and every time I would, I’d stop and watch. 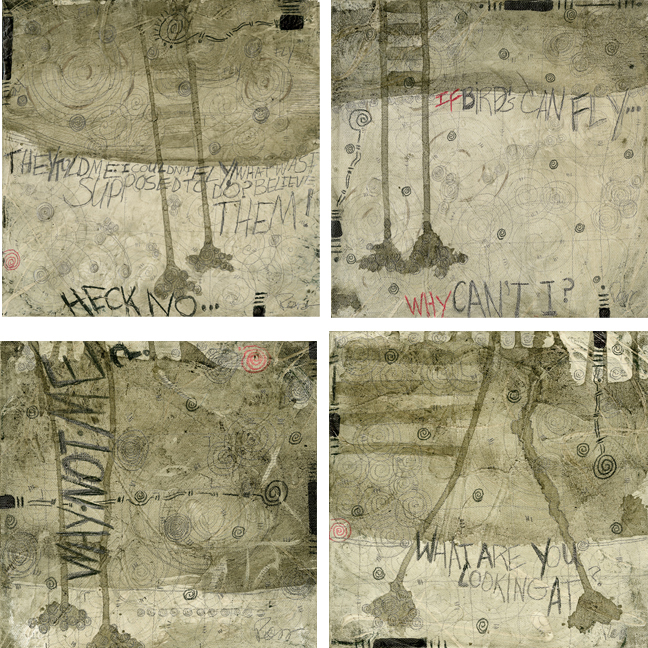 These paintings are the object of my affection in every way. With each sub-set there came new challenges/questions/risk. Do I add more large spirals; do I add more texture in the prep of the canvas; do I let the background show more at the edges; how many lines or does it stay at three; I liked the checkerboard look, do I do more; what would happen if I over lapped the spirals then painted them, and more than I can even mention… the trick seems to be able to stay in the freshness of the creation. The new “need” to expand was interesting to watch, to listen to my self-talk work me through the process, the risk of, and the rush of excitement when I actually added something new. After all, I could always start over… or that is part of what I tell myself to work through this. My fascination grew and fueled my need for more, the more we look for in our lives, the passion, the being. 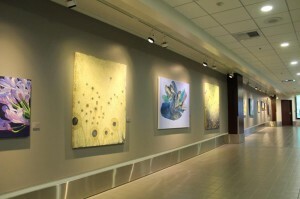 Each painting fulfilling this need as well as creating the need for yet another painting. The only other time I felt this strong a fascination/vibration/energy was with a man with whom I shared intimate moments…the connection was amazing. The moments stayed with me, creating the longing, the need for the more that occurred when we were together/apart. This energy still lives in me as I write. The following poem presents how art comes alive for me. it can do no other, in ecstasy it will writhe at your feet. When I’m in the mist of a series the phrase “one thing leads to another” is in full form. 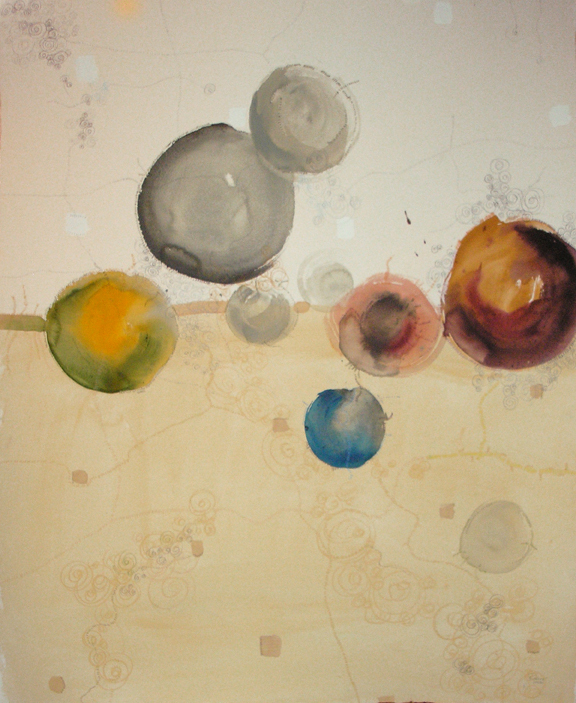 Each painting is a new child with a personality, balance and questions unique to itself. For me it lives. I have some paintings that stay with me until I can release them. The “when” our relationship is complete and I can allow them to leave and fulfill another persons desires. 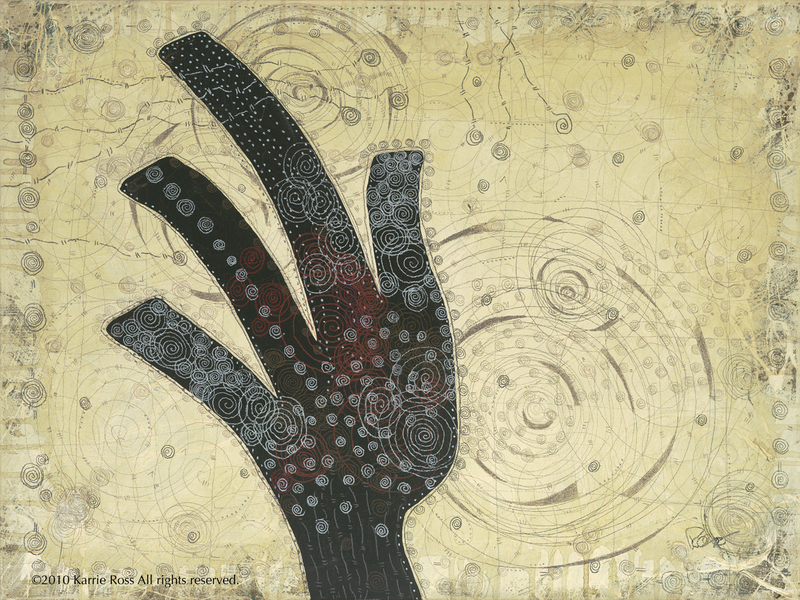 Let me know how you feel about my art, contact me to see more… and maybe purchase. 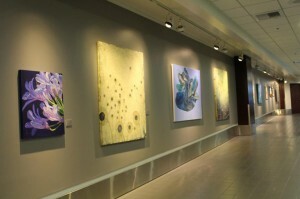 This entry was posted in Fine Art Process, Notes: Karrie Ross, Spiral Series and tagged abstract paintings, art process, california artist, los angeles artist, Notes: Karrie Ross, oil paintings, Spiral Series, watercolor paintings on March 31, 2010 by Karrie.